We are excited to announce an exhibition of the work of Australian cyanotype practitioners for World Cyanotype Day 2018 has now opened. Over the last month we’ve been working with Stephanie Richter and Gillian Jones of Monash Gallery of Art in Melbourne to bring together the cyanotype works by artists from north Queensland to Tasmania to exhibit in the MGA’s ATRIUM GALLERY. 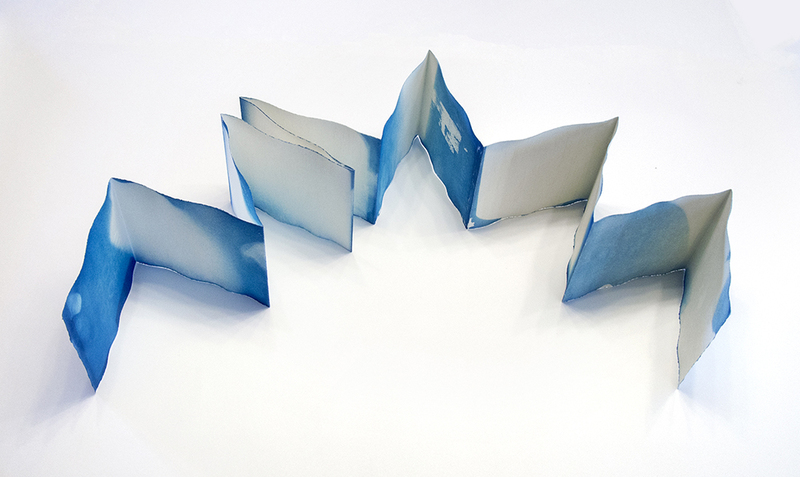 We also presented a one day masterclass on the cyanotype and the book. Adele Outteridge, Ann Vardanega, Chris Byrnes, Christina Harding, Danielle Minette, David Symons, Dawne Fahey, Deanna Hitti, Felicity Rea, Gael E Phillips, Gail Neumann, Jan Ramsay, Janis House, Kate Golding, LeAnne Vincent, Linsey Walker, Lloyd Godman, Lynette Zeeng, Mark Lourensz, Mel Brackstone, Mollie Bosworth, Raimond De Weerdt, Renata Buziak, Robyn Campbell, Shane Booth, Silvi Glattauer, Sue Clisby, Thomas Oliver, Trevor Foon, Stephanie Richter, Victoria Cooper and Doug Spowart. 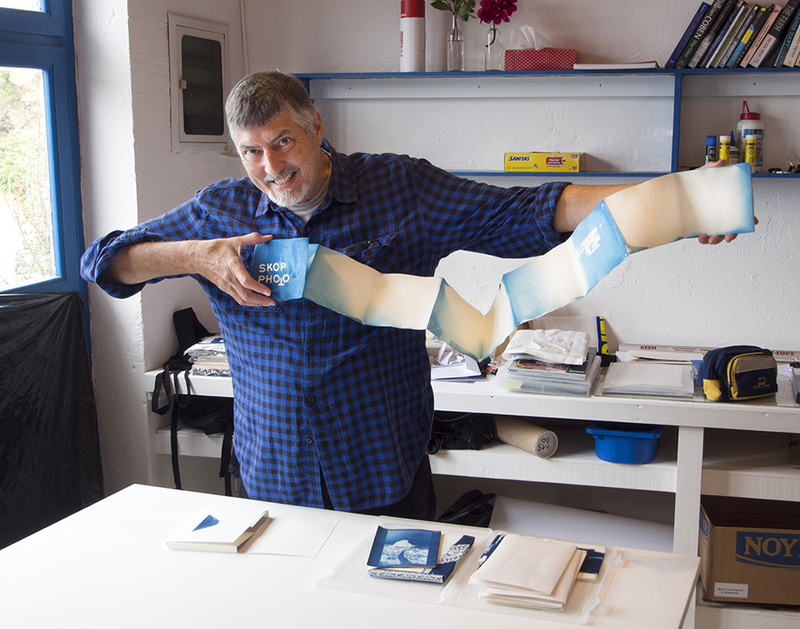 For around 2 years we have been members of the World Cyanotype Day Facebook page and have followed the work and comments made by cyanotypists from all over the world. 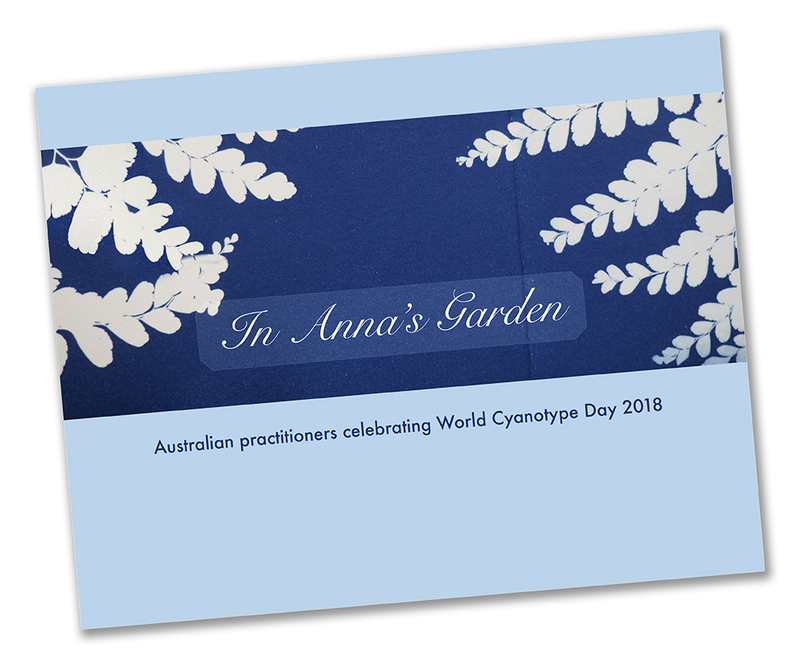 When the call went out about the 2018 World Cyanotype Day (WCD) we shared the post on our Facebook page with the message, ‘wouldn’t it be fantastic if we could have an exhibition of practitioners from Australia to celebrate WCD’. Within minutes our Facebook Friends started responding with supporting comments like, ‘WOW, I’d like to be a part of that!’ Within 24 hours about 20 ‘Likes’ and comments appeared – we then thought about how we could make it possible. 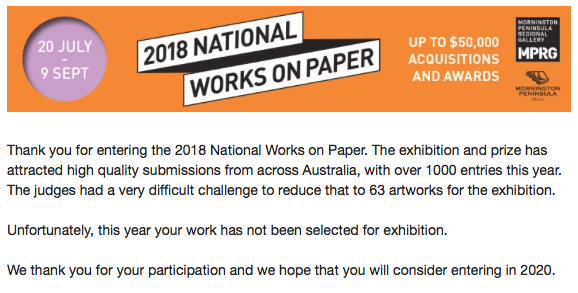 In September we were scheduled to be in Melbourne so we made some enquiries with a few contacts about the possibility of an exhibition space that we could consider for the project. Things went quiet for a while and we sent out a few follow up messages. Then came a response from Stephanie Richter, the Monash Gallery of Art’s Education & Public Programs Coordinator, that the Community Access space at MGA could be available. After consultation with the Director Anouska Phizacklea and the MGA team the go ahead was granted to mount the exhibition and present a masterclass in the process. An event team was formed consisting of Stephanie, Gillian Jones – a recent Master of Arts and Cultural Management student from Melbourne University with Vicky and myself. A Facebook Group was established and people who we knew were practising cyanotypists were invited to join. Through our contacts in alternative and traditional photography we enquired about other cyanotype workers that we should be aware of to extend to them an invitation to contribute to the show. In time documents outlining the project, conditions of submission and important aspects of the venue and the audience were generated and made available online. Some invitees were contacted via email, as they were not Facebook users. The closing dates for submissions, delivery to the gallery and installation all had tight deadlines. The FB group was able to provide a rapid distribution of information, an ability to respond to questions and circulate the answers back to the group. Behind the scenes the event team connected via Facebook Messenger to plan, resolve and prepare the way for the exhibition. Early in September the works were received at the gallery and a 3-day installation took place by the event team supported by artist Deanna Hitti. The exhibition was opened on the 15th of September and will remain on show until the 21st of October. 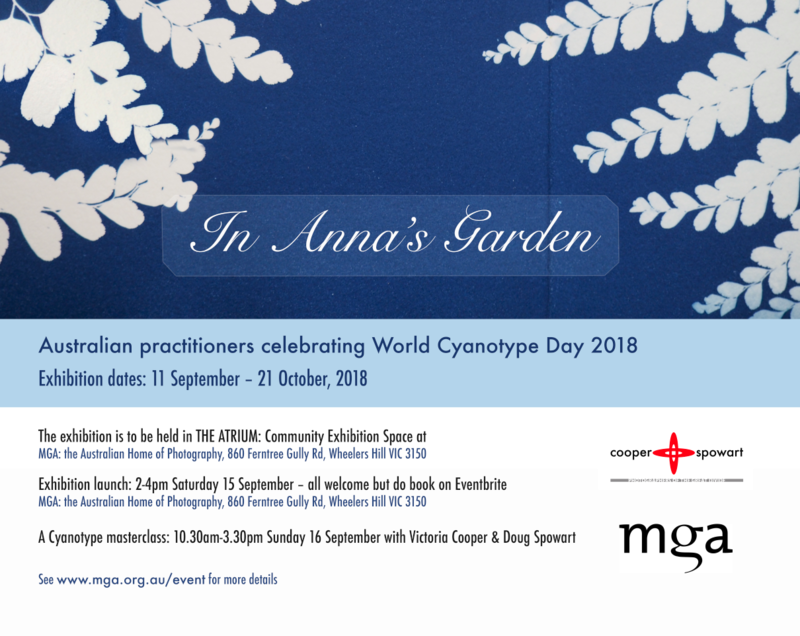 In Anna’s Garden presents a diverse and vibrant community of cyanotype artists and photographers working in Australia. Although the exhibition is not a complete survey, it does represent a beginning in recognizing the practice of this process in Australia. Also planned is the continuation of an openly accessible ‘The Cyanotype in Australia’ Facebook page to provide a place for networking and the sharing of concepts, techniques and images with the local, national and international communities. The growing popularity of this early photographic process could seem strange at a time when instant perfection is so easily achieved through digital technologies. Perhaps the allure for the cyanotype lies in its hand-made working methods and technologies along with the potential for capricious results that inevitably lead to an excitement in the discovery new ways of seeing. For many the emotional power of the cyanotype’s blue image continues to create new perceptions through visual expression and storytelling 176 years beyond its first discovery.